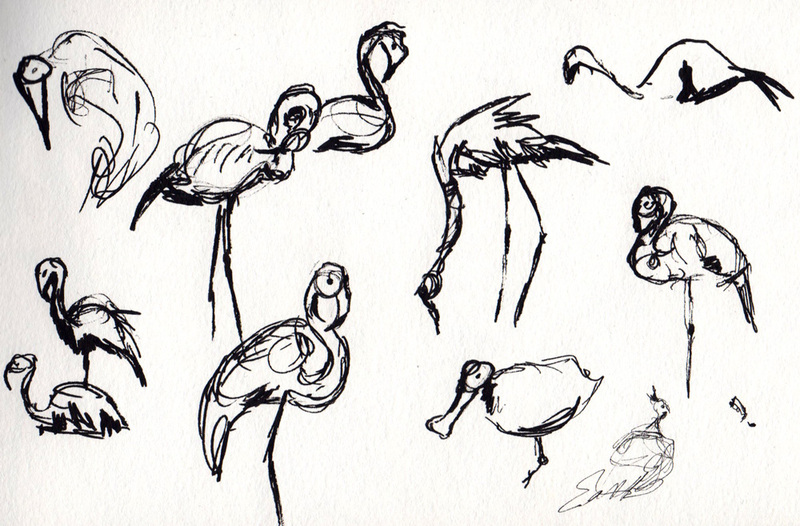 Here are some sketches of animals I made at the Honolulu Zoo. I was lucky enough to catch the elephants at their happiest, bath time. The flamingoes in Hawaii are more orangey pink than the reddish pink I am used to seeing. 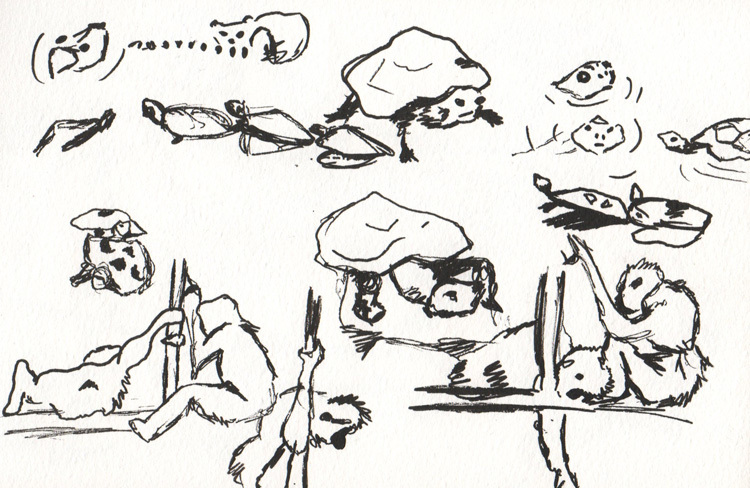 The turtles, lemurs, and gibbons shared a living space. These hippoes were quite fond of one another. 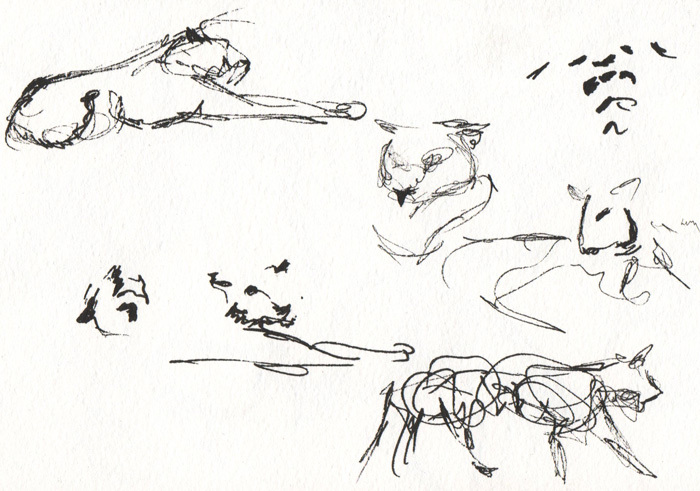 The tigers were beyond gorgeous, but moved around the most, making drawing difficult. 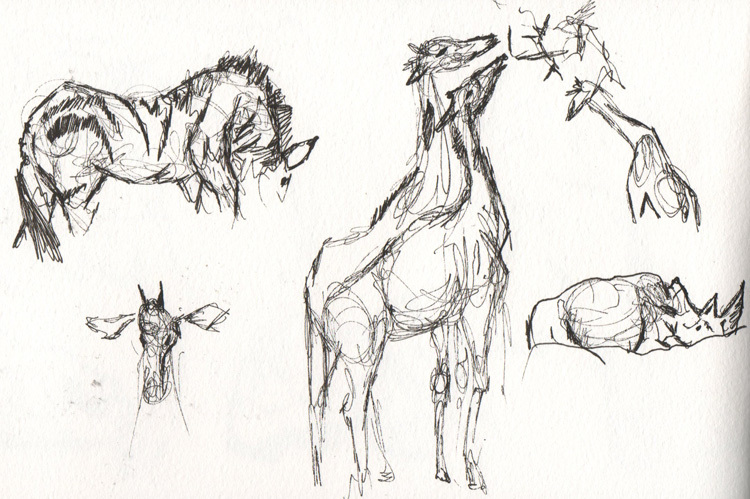 Giraffes, zebra, and a rhino. Before my trip to this zoo I did not know what a gharial was. Now I do and I sort of wish I didn’t. They are absolutely horrifying. Fun to draw, but horrifying. 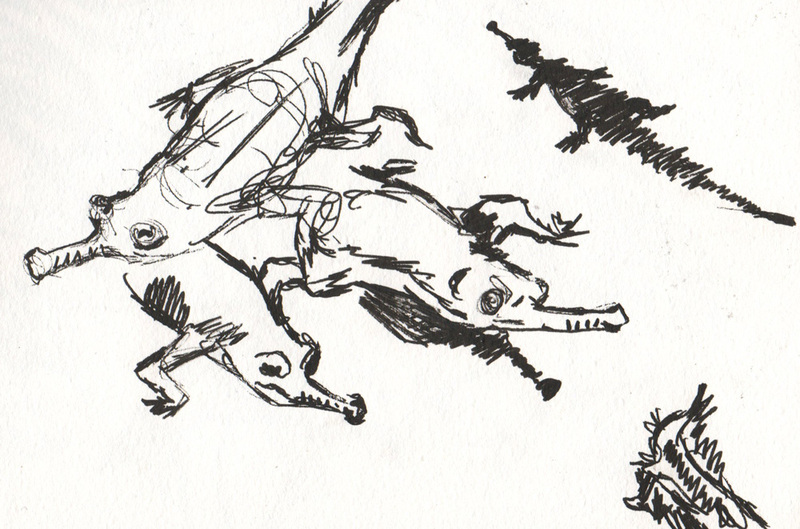 I was so absorbed with the gharial section that I drew the trees around it. 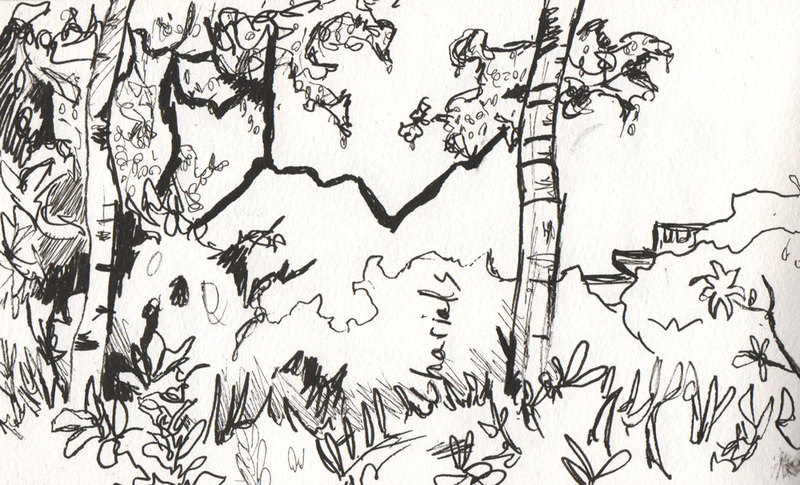 Below is a page from my wet sketchbook. 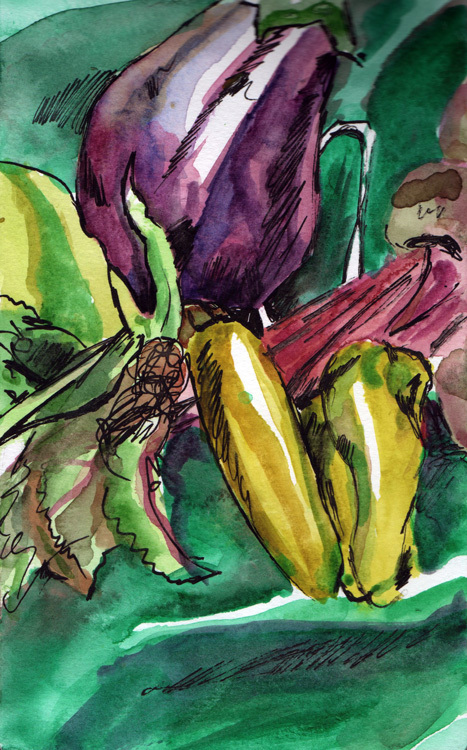 It is a still life sampling of some fresh veggies. Fresh Vegetables. Watercolor and pen on paper. 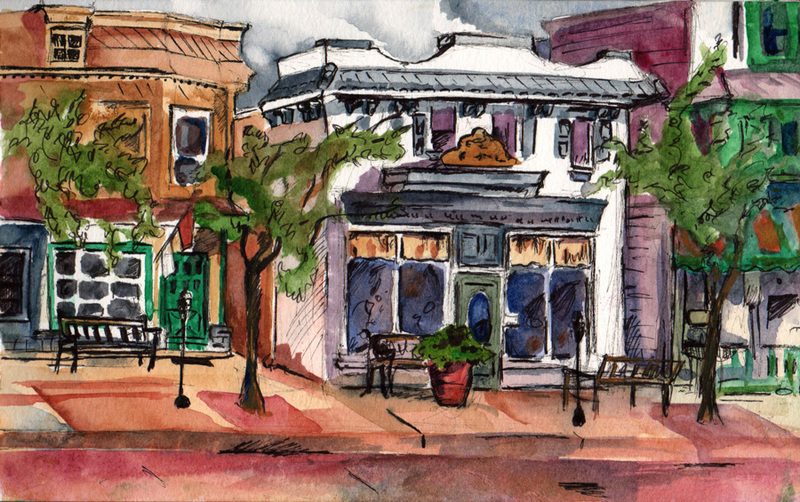 5″x8.5″. My small mile stone is that, as of this morning, I have as many Twitter followers as I do Etsy hearts (615). I know that is a a triumph very few people can understand, but it makes me happy. The internet gives artists the wonderful opportunity to be seen. It’s all we truly want. Thanks to sites like WordPress, Etsy, Facebook, and Twitter, my work is seen by thousands of people a month. Not many galleries can boast that kind of traffic. It must have been very frustrating to be an artist before the Internet. What I’m trying to say is, thank you for taking the time out of your day to appreciate my work. It means a lot. 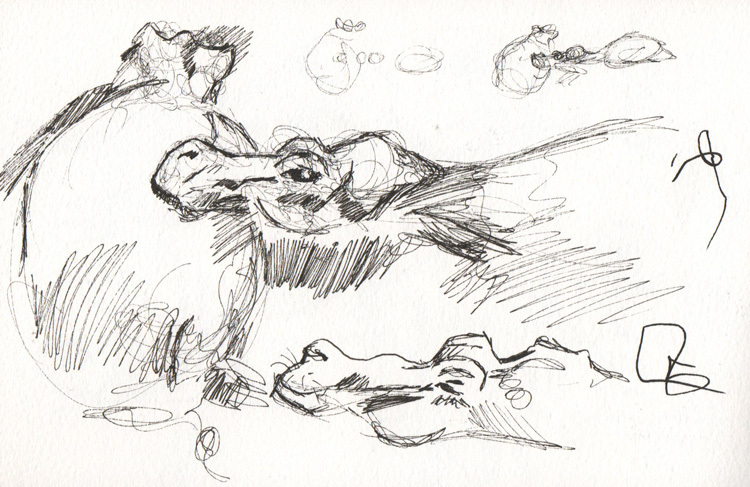 In celebration of the upcoming new school year, here are a couple of sketches from my substitute teacher days. 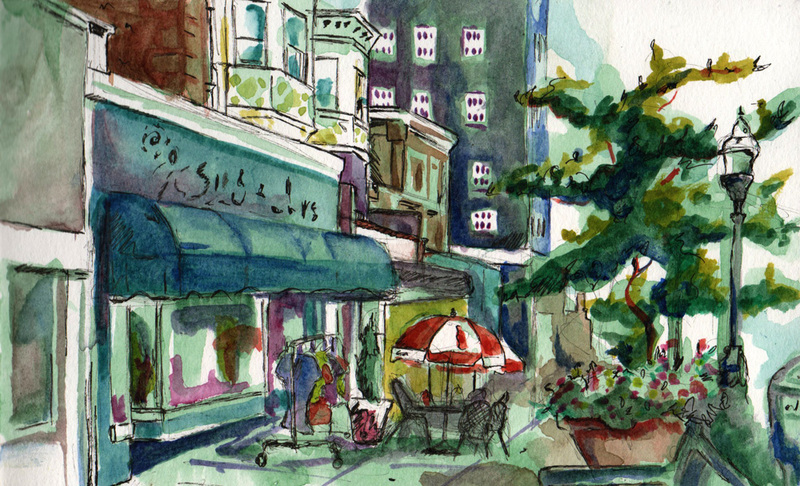 A sketch of the outside of the mall. Here is a study sheet for an old scientist. Sketchbook Saturday is off to a good start. A sketch I did of a snowy parking lot back in February. Currently, I am having computer troubles. Here is another black and white sketch that has been up on my Etsy for a while. I promise steady, interesting material is coming soon. 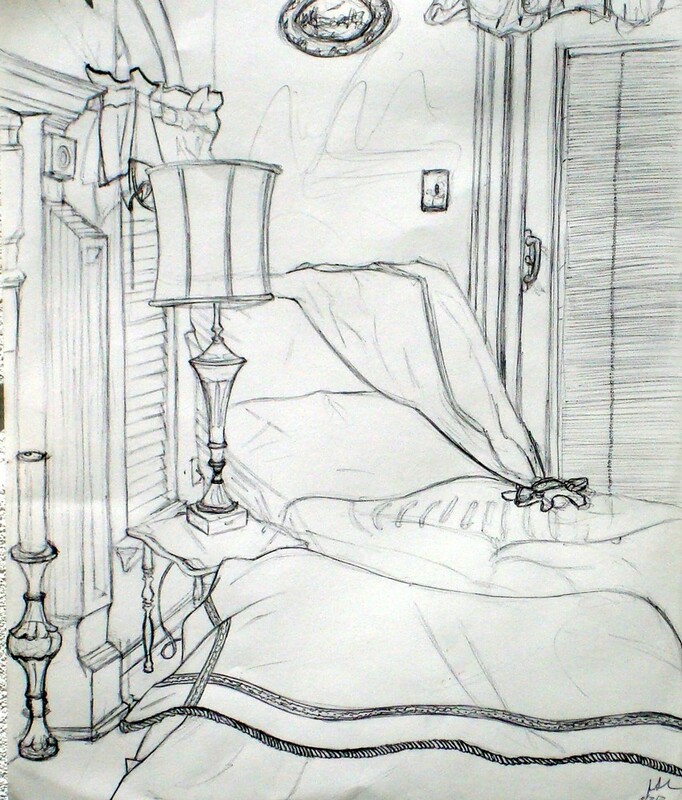 Room of the Tarnished Lamp. 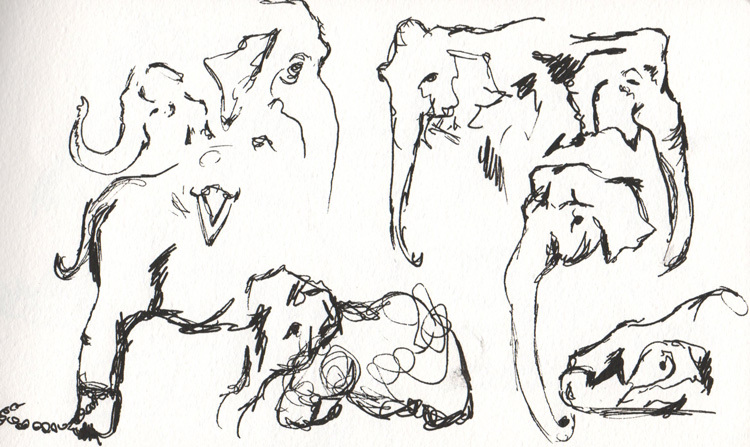 Pen on paper. 11″x14″ (27.9cm x 35.6cm).